I have ordered Rollei Lith developer because the examples I saw looked very promising. I have yet to start with it but the idea of going back to “standard” black & white negative printing, even though being done in a professional archival worthy manner, seems totally boring now that I’ve begun with Wet Plate. I hope I will get myself to start with this soon but I have a lot on my mind lately, one of them is creating a new website. It’ll be in the style of Wet Plate qua design and a bit more fun and personalized. One of them is something else to which I’ll dedicate an entire new category as I hope it to grow in the (near) future. This entry was posted on November 19, 2009 by Contrastique. It was filed under Books, Lith Printing and was tagged with Lith. Darkroom, Rollei. your lith prints are very stunning! now i’m sold to do this! i just noticed your lith developer. 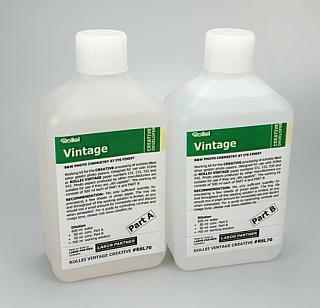 is this ready made developer you can use for lith printing? where did you able to get this? i’m still reading stuff about lith. there are a lot of things i needed before i get started! thanks again! Mix it together in a tray (specifically for this developer) and you’re good to go. Stopping bath and fixing is not any different than what you would normally do when black-and-white printing. For other papers check out the lith group on FB, I only have experience with this one. love your work! thanks for helping me! i just contacted dhl iran i hope i could be able to use them to ship chemicals to iran. No problem 😉 Not doing much now anyway as my lith printing journey of today failed miserably anyway (see FB group). Basically it is like normal black-and-white printing. You actually overexpose your paper with the negative. With this process you expose the paper to get the highlights right and you develop to get the blacks correct. After you exposed the paper you place it in the lith developer, which is very diluted in working solution. The time for development will be different for each print. With the normal black-and-white developer the paper has been fully developed after about 1 1/2 minute. Here you determine that time yourself. The time it takes for a bit image to show up when developing is quite long. I normally start seeing some parts of the image coming at around 2 minutes. The thing with this developer is called “infectious development”. What makes it even more tricky is that your developer will change when more prints go through it. The color of the final print, the grain and contrast etc will change during printing. So the first print looks nothing like the fifth print even if you keep exposure time and development time the same. There will be a point where your images look fantastic and then the developer wears out and you have to make new one. There’s a relative short window in which you can make proper prints, all depending on what results you’re after of course! Because you have this so called infectious development you can achieve very soft delicate highlights and very dark and contrasty grainy shadows. This would never be possible using normal black-and-white developer. You’re in for a nice ride! 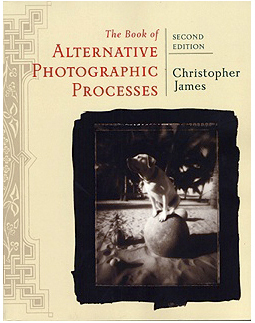 It’s a truly wonderful alternative printing process and relatively easy to step into. That’s why I chose it. It’s the fine-tuning that takes things to a different level and makes it a difficult process at the same time. thanks for all the help!!! i will try to read more about this process if i have a question i will message you. so probably each print on lith has different quality/characteristic. nothing are the same? i like that! i’m sure i would enjoy this printing process. i can’t wait to do this! have a good day and thanks for helping me out!